Every year I try to come up with a general theme for our holiday cards and this year's theme was all about celebrating everything the holiday season brings. I love the idea of combining both Kenny and my beliefs and celebrating everything that makes this season so special for us all. A Happy Hanukkah, Merry Christmas, Feliz Navidad sort of thing. And I take my themes very seriously. You can ask Kenny who one year had to wear an ugly Happy Hanukkah sweater and a menorah hat for our cards (ha!) This year I kept it a bit more simple and ordered a yard sign with all the messages we wanted to relay and we used it as a prop for our family photo shoot in Riverside Park. Needless to say, I'm thrilled with how these turned out! And Minted had just the right card for us. A "Happy Everything" card that showed off Ali's giant smile! 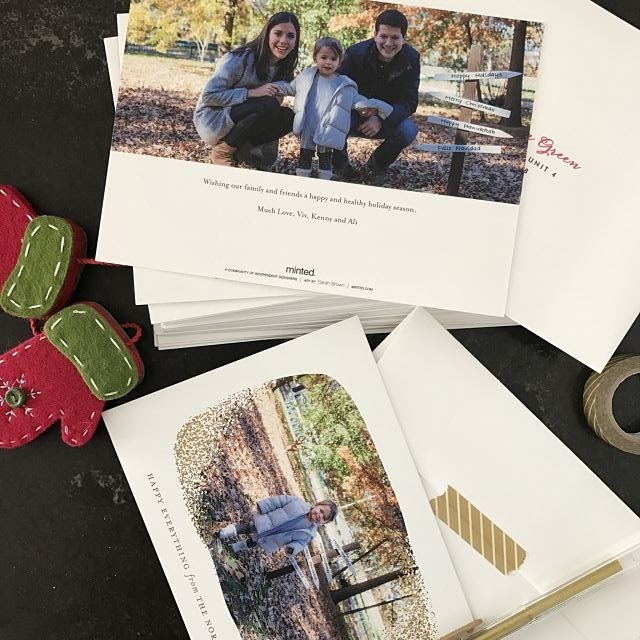 What would I do if not for Minted?! 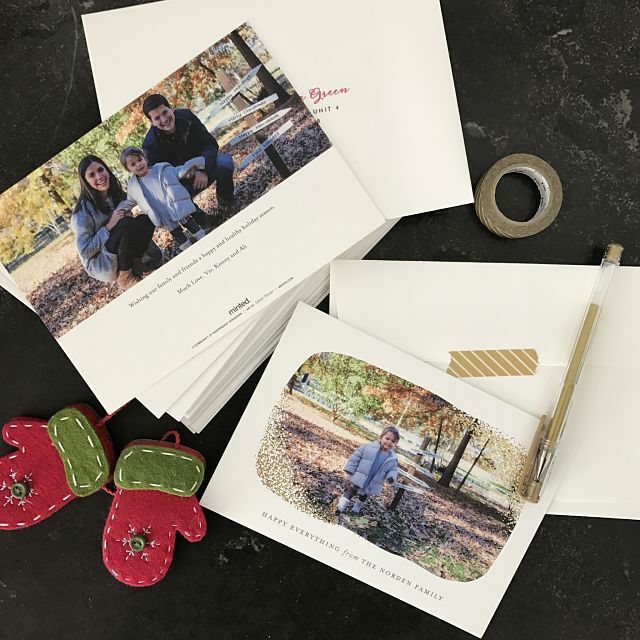 Minted is my go-to destination for all my personalized stationary needs, from holiday cards to thank you notes and art. It is very hard to choose the perfect card design but I think these will bring a smile to the face of very many family members and friends who will be receiving it in the next few days. the brand returned vigilant in its buy replica watches desire to make bold looking watches without counterpart. The Zenith Defy Extreme Breitling replica line is the epitome of that pursuit. Nothing looks quite replica breitling watch like it, and at the same time. The using a similar theme as an idea for the holiday cards was a very original way to surprise. It looks very interesting and beautiful.